East Lansing, MI -- What you don't know about Black males could fit into a book: The Handbook of Research on Black Males edited by Theodore S. Ransaw, C.P. Gause, and Richard Majors, available from Michigan State University Press on their website, online, and at fine bookstores November 1, 2018. Featuring an introduction by Jerlando F. L. Jackson, Vilas Distinguished Professor of Higher Education and the director and chief research scientist of Wisconsin's Equity and Inclusion Laboratory at the University of Wisconsin-Madison; cover art by Julian Van Dyke; and andinkra symbols by Elijah K. Hamilton-Way. Did you know that there are 59 percent more Black men in post-secondary school than in jail? Are you aware that Black fathers ages 15 to 44 had the highest rates of helping children with homework and taking them to and from activities of any race? Or did you know that 14 percent of working-age Black men are veterans? Would you like to know more about Black males? 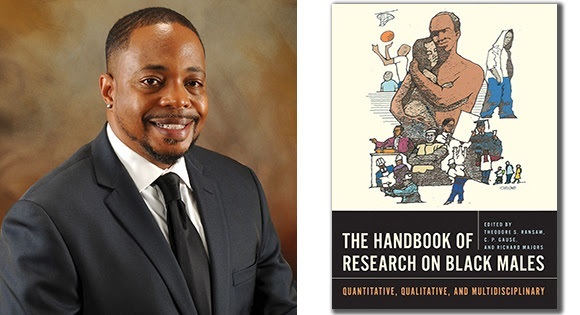 MSU Press is pleased to announce the release of The Handbook of Research on Black Males. This volume draws from top researchers in various fields to explore the nuanced and multifaceted phenomena known as the Black male. 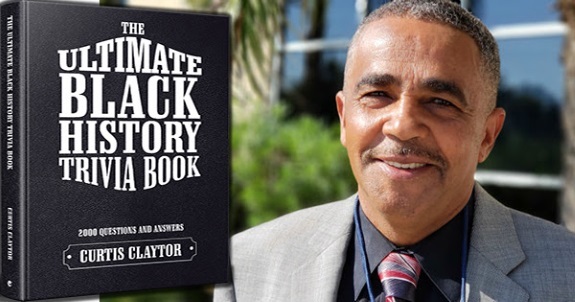 Simultaneously hyper-visible and invisible, Black males around the globe are being investigated now more than ever before; however, much of the well-meaning responses surrounding the media attention of Black males are not well informed by research. Nationwide -- CEO of the Liberty County Minority Chamber, Sabrina Newby, has announced that the organization has changed its name to the Coastal Georgia Minority Chamber to serve the Coastal Georgia business communities. "The change kicked off our new year in how we are directing our chamber. 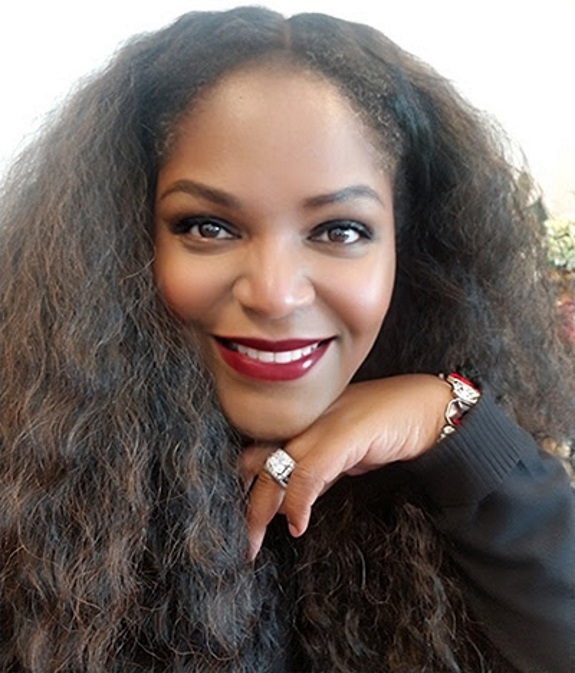 We want to be present and accessible in the counties that either our members reside, have businesses or where there has shown a strong interest in our chamber," Coastal Georgia Minority Chamber, CEO, Sabrina Newby said. The Coastal Georgia Minority Chamber will now serve Effingham County all the way to the southernmost county in Georgia, Charlton County. The change began when the chamber started receiving potential chamber members from other parts of the coast as well as the state of Georgia. 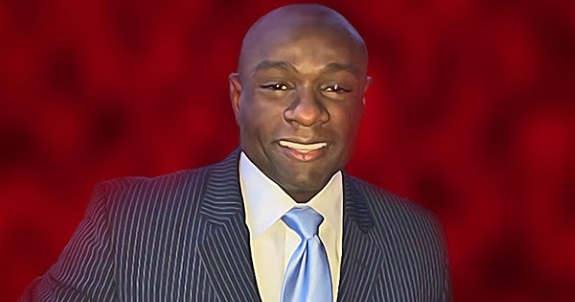 Louisville, KY -- John Shaw-Woo, philantropreneur and founder of Kentucky Poverty Initiative Inc., formerly GFoundation Inc., and an active force for social change in the Louisville and Kentucky region, has announced the launch of NOIR Black Business Social Club Incorporated, a networking platform for Louisville-based Black business owners and influencers, whose goal is to increase opportunities for growth in the Black community and improve the economic landscape of Louisville's business community overall. 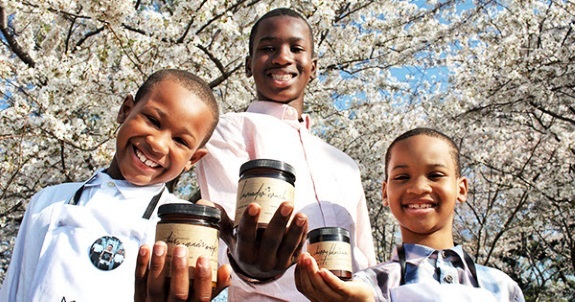 NOIR was created to address the need for increased resources and opportunities and provide supportive assistance for small entrepreneurial black business owners seeking to strengthen their companies through a broader understanding of basic business practices, access to impactful resources and collaboration with like-minded business owners and business leaders. 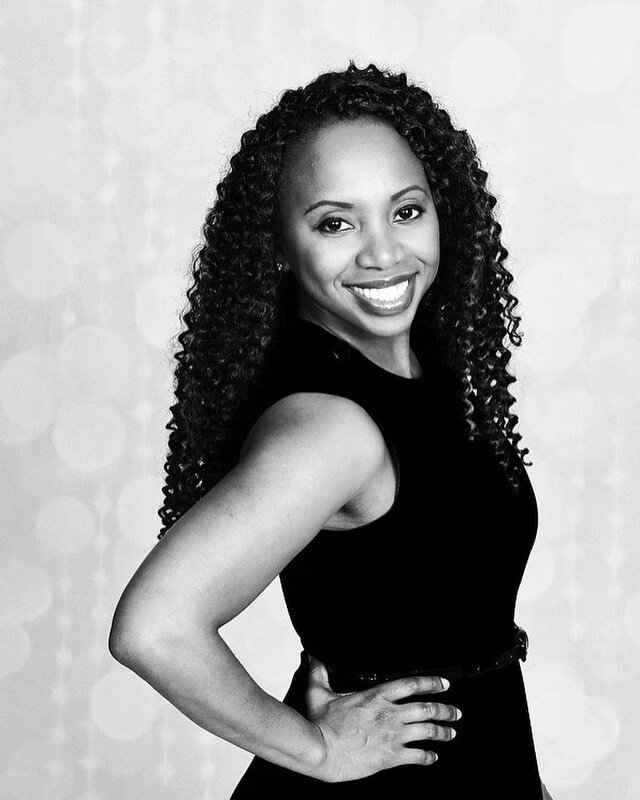 NOIR is a supportive networking platform that brings together small entrepreneurial black business owners on a monthly basis to collaborate and leverage resources. 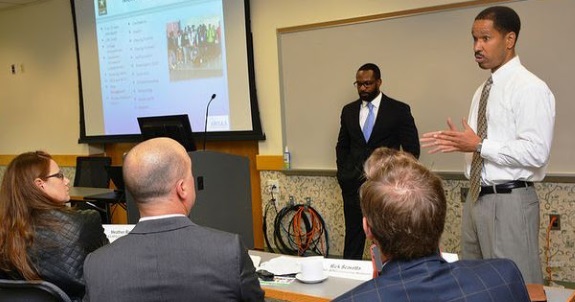 NOIR offers members opportunities to participate in and benefit from educational speakers' series, lectures and conferring rounds, where members can present their business concepts and challenges to experienced and invested club members and receive valuable feedback to help improve their business model. Members will also gain valuable and relevant knowledge regarding business opportunities, finance marketing, social and economic barriers, human resources and insight into the local, state and national legislative landscapes. Nationwide -- When most people think of making money from the stock market, they think of buying shares of stock in a company and making money as the stock, hopefully, appreciates in value. Eric Johnson, a computer engineer from Baltimore, MD, held this same perspective up until 5 years ago. You see, 5 years ago, Mr. Johnson was introduced to a stock market strategy that forever changed the way he looks at making money from the stock market. One day, while intently working on a coding project, Eric decided to take a quick break and check email. Upon going through his email, he noticed one email in particular. It had the subject line: A Wall Street Secret. After reading through the email, Eric discovered that the email's author was offering him an opportunity to learn how to make money from the stock market using a strategy that's unfamiliar to many. 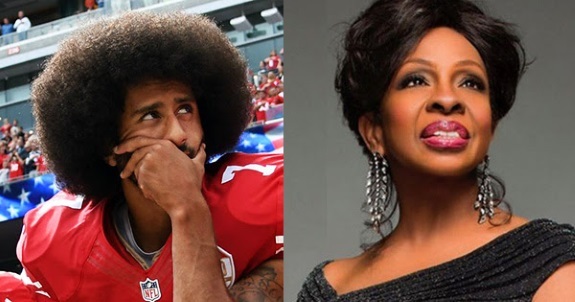 NFL SUPER BOWL, GLADYS KNIGHT, AND COLIN KAEPERNICK: IT AIN’T WHAT YOU THINK IT IS! Nationwide -- This isn't about Gladys Knight's right to perform at the Super Bowl; it surely isn't about the singing of the National Anthem and you can bet your bottom dollar this isn't about Colin Kaepernick playing QB in the NFL again. This is about the dueling souls of Black folks and the psychotic behavior of America. The famed scholar, Pan Africanist and sociologist, W.E.B. Du Bois in his classic work, The Souls of Black Folks characterized the black dichotomy as, "twoness": as an American and as an African; two souls, two thoughts, two unreconciled strivings; two warring ideas in one dark body, whose dogged strength alone keeps it from being torn asunder. As a result of this "double consciousness," Du Bois adds, "African Americans suffer from a damaged self-image shaped by the perceptions and treatment of white people." Knight and Kaepernick evince these opposing identities and will superimpose these irreconcilable differences onto our TV screens on Super Bowl Sunday. 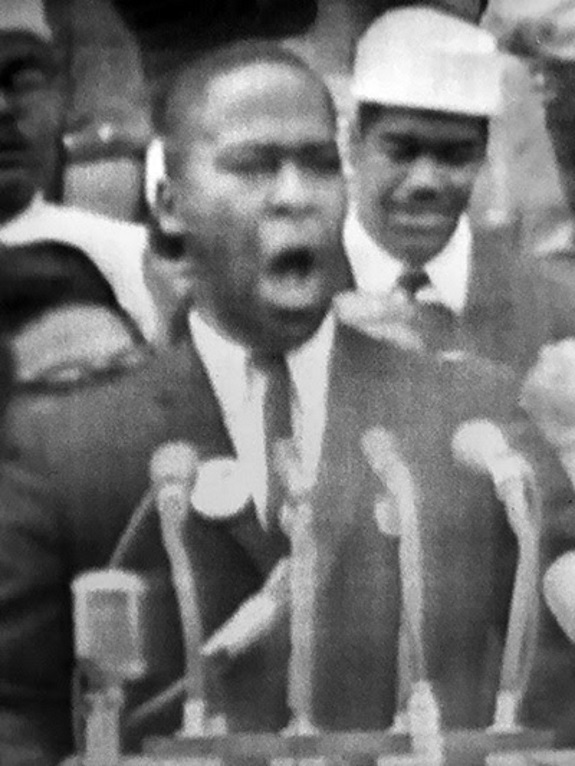 THE AMERICAN AFRICAN: Many people shun the idea that Knight decided to perform the National Anthem. Nonetheless, there are just as many who believe Knight has "earned" the right to perform even though they too harbor some kind of resentment. However, it seems both camps will be watching the Super Bowl. So much for standing on principles. Knight is a major contributor to the indigenous American Musical Art form known as R&B. Knight gave meaning and expression to the disillusionment many blacks feel daily about America. You could hear her songs crooned by Doo Whoopers beneath street corner lamps across America's Universities of Street Corners. Knight sang America thru her songs: believing America would live up to her promise. New York, NY -- "Upon first listening, you are amazed that you've just discovered this podcast. 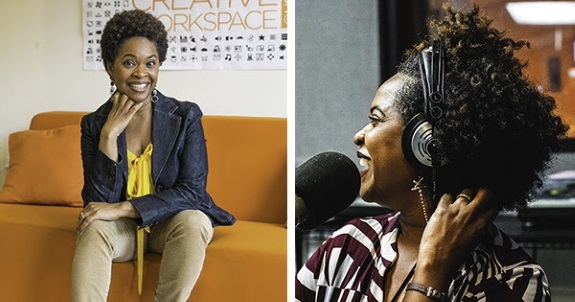 I feel like I know the host, she is me, a girlfriend, and then she curses and I say, yes, she is definitely me," says Wendy Robinson, a listener to the year old, Karen Taylor Bass Podcast (KarenTaylorBass.com/Podcast), that is growing in popularity. The eponymously named podcast is just like the public relations expert turned the host's personality. Authentic, charismatic, funny, explicit (at times), but, more insightful and real than anything else out there in the growing podcast field. Heard on The Hub News, Spotify, Libsyn, iTunes, Radio Public, Soundcloud, and Art19. BLACK HEALTH & FITNESS COACH, GREG DORSEY, ANNOUNCES #LMD60DAY CHALLENGE -- AN INNOVATIVE DIGITAL LIFE BALANCE PROGRAM! Washington, DC -- On January 27, 2019, The Live More Daily 60 Day Challenge will begin in communities across the nation. 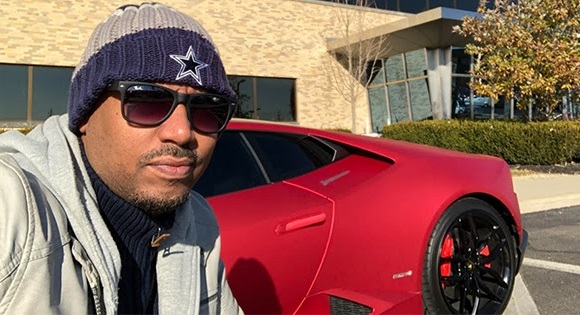 The #LMD60DayChallenge is an initiative designed by L. Greg Dorsey, a Personal Trainer, Nutrition, Endurance, and Metabolic Coach and the author of Live More Daily: Going All In to Win Your Race. The #LMD60DayChallenge focuses on the transformation of the mind, body, and spirit. As part of his commitment to promoting community health and wellness, for a limited time, an estimated 150,000 participants from organizations across the nation will have free access to the same tools and goal-setting techniques that helped Coach Dorsey complete multiple Ironman Triathlons and endurance racing competitions. 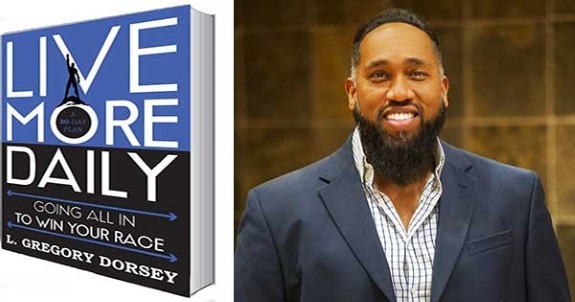 In 2018, Greg took a major step toward fulfilling his life long passion of promoting health and overall wellness beyond his immediate community and published his highly acclaimed book, Live More Daily: Going All in to Win Your Race. He shared his incredible story of how he defied his medical prognosis starting with classes at the local gym to eventually participating in Ironman Triathlon competitions. He used what the health practitioners told him he could not do as a motivator to push the envelope beyond limits. His next step was to build an interactive platform where he could reach a wider audience through his Live More Daily App. Through this innovative application, he is able to virtually train his clientele, providing daily workouts, nutrition plans, and coaching sessions to keep them motivated and accountable.